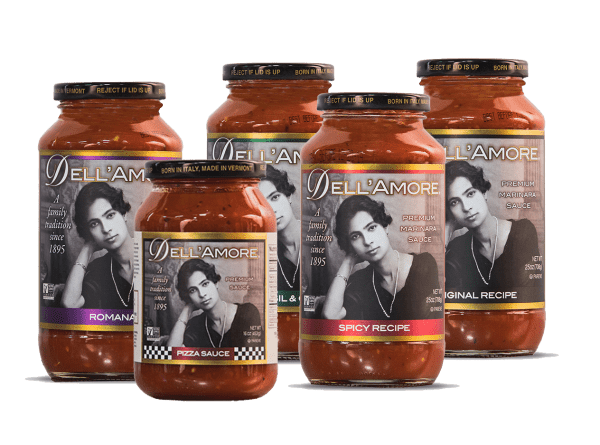 The love and care that our grandmother Filomena put into her cooking has become a family tradition and a trademark of Dell’Amore pasta sauce today. We began bottling her signature marinara under the Dell’Amore name in 1986, making us one of the early pioneers of premium, authentic pasta sauce being sold to the public. Dell’Amore sauces continue to win accolades from customers and food critics alike. And the rest, as they say, is history. 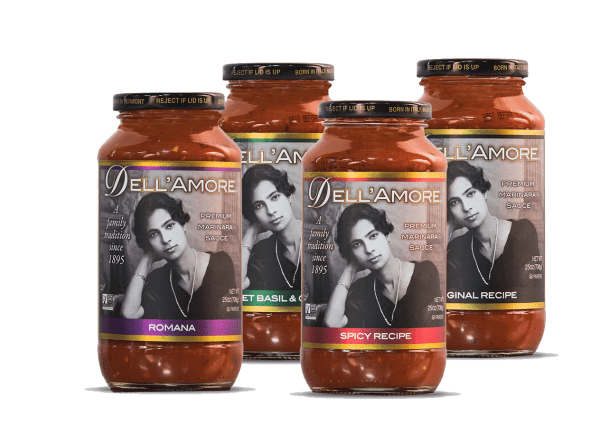 Today, Dell’Amore continues to produce exceptional sauces that would make Grandmother Filomena proud – honoring her tradition of cooking with only the freshest ingredients. And, we remain dedicated to the careful crafting and meticulous attention to detail that went into every dish she created. The result – only the finest products ready for you and your family to enjoy. Select any combination of 6 jars of 16oz Premium Marinara Sauces. Select any combination of 12 jars of 16oz Premium Marinara Sauces. Select any combination of 12 jars of 25oz Premium Marinara Sauces. Enter your ZIP-code or City/Town and we’ll look up the nearest store for you.